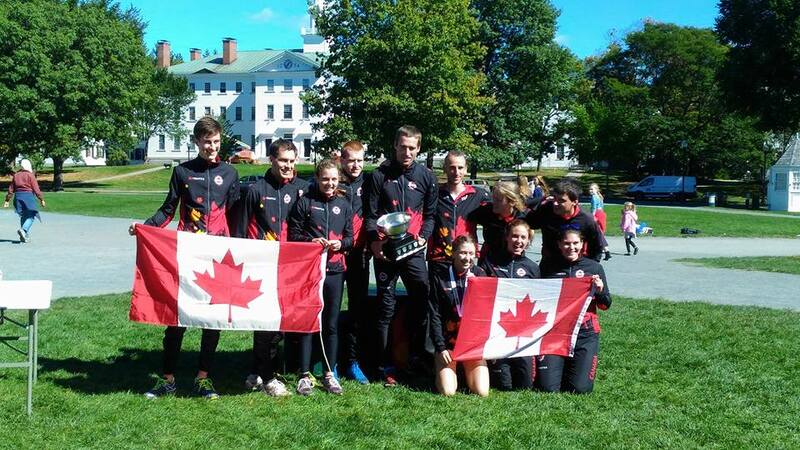 The Björn Kjellström Cup, named after a Swede who was instrumental in introducing orienteering in North America, is a competition between the national teams of the USA and Canada at the senior level. Competition for the Cup is held every two years at the North American Orienteering Championships (NAOC).The BK Cup was first awarded in 1980.More info about the BK Cup is here. Congrats to the US, the winners of the Future Champions (FC) Cup. How does one put "a dream coming true" into words? How does one describe the roller coaster ride of emotions, those memories that still bring tears to my eyes or the entire journey that led me to my best World Champs ever? When I found out that I would be in the top 6 in the middle distance it was just like a tidal wave of emotions swept over me and all I could do was hang on for the ride. Sobbing uncontrollably seemed to be the only way that I could process what was actually happening. Which is why during the flower ceremony my face is smiling but my eyes seem to be telling a different story. There was so much happiness, so much relief, so much amazement, so much stress that had built up, just so much of everything that there was no keeping it all in. Rewind one hour and I couldn't have felt more calm and better prepared to take on the challenge ahead. There was nowhere that I wanted to be more than in those beautiful Swedish woods and all I needed was the map in my hands and I would be off. When I look back to that first part of the race I am amazed to realise that it felt like just my usual orienteering. I was making plans for each leg, looking up for the next features, making sure I was confident coming into the circle and if not I stopped to figure it out. 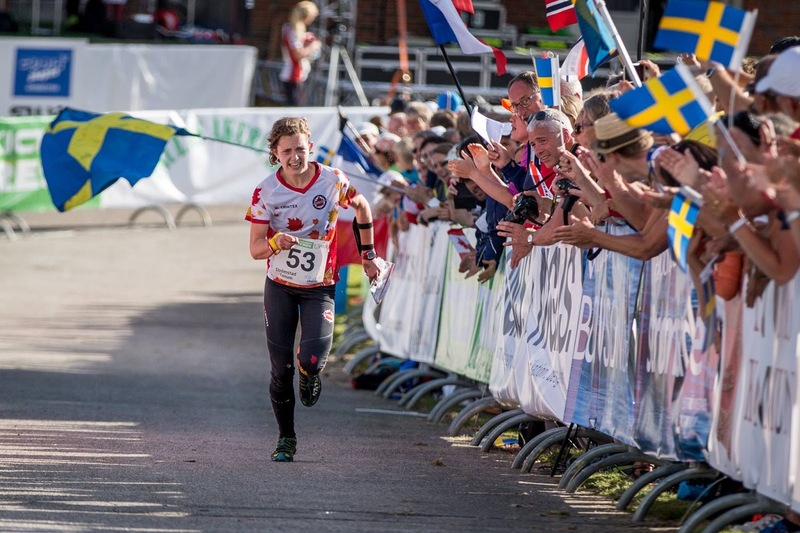 The only extraordinary part about it was that it was all happening during a WOC race and that was something that I had been unsure of actually being able to execute. 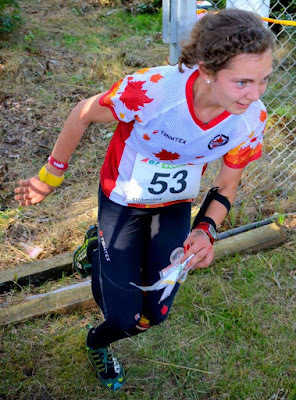 During the preceding months I had put so much importance on these races; I had so many expectations for myself and I was very aware of the expectations of others. It felt like a herculean effort to be able to put all that to the side and remember that the results of a competition fall into the category of things that I cannot control. I could only run my own race as best I could and then accept the result whatever it turned out to be. And that's exactly what I did. The feeling of standing up on the stage for the medal ceremony, in front of so many cheering people... that is really indescribable. I had to close my eyes and open them again just to be sure that I wasn't dreaming. 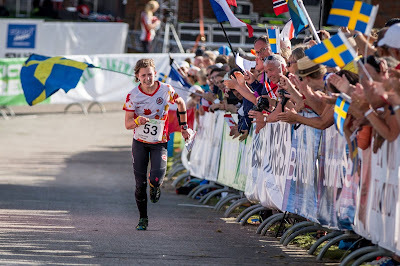 From start to finish these World Champs were an adventure: the excitement of the Sprint Relay, the emotions of the Middle distance, the struggle and perseverance needed for the Long distance and the team enthusiasm of the Relay. The support and encouragements from everyone around the world has been incredible and I thank you all from the bottom of my heart! 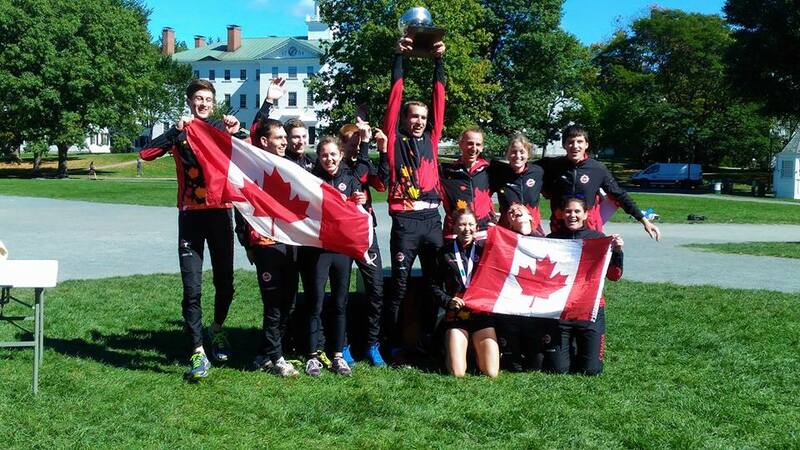 To all of my family, all of Team Canada and Orienteering Canada, all of those wonderful people from Ottawa to France to Finland who believed in me and so generously helped me along the way this is the best way I know how to say thank you... to make sure that everything you've given me and taught me is being put to good use at the top of the world. 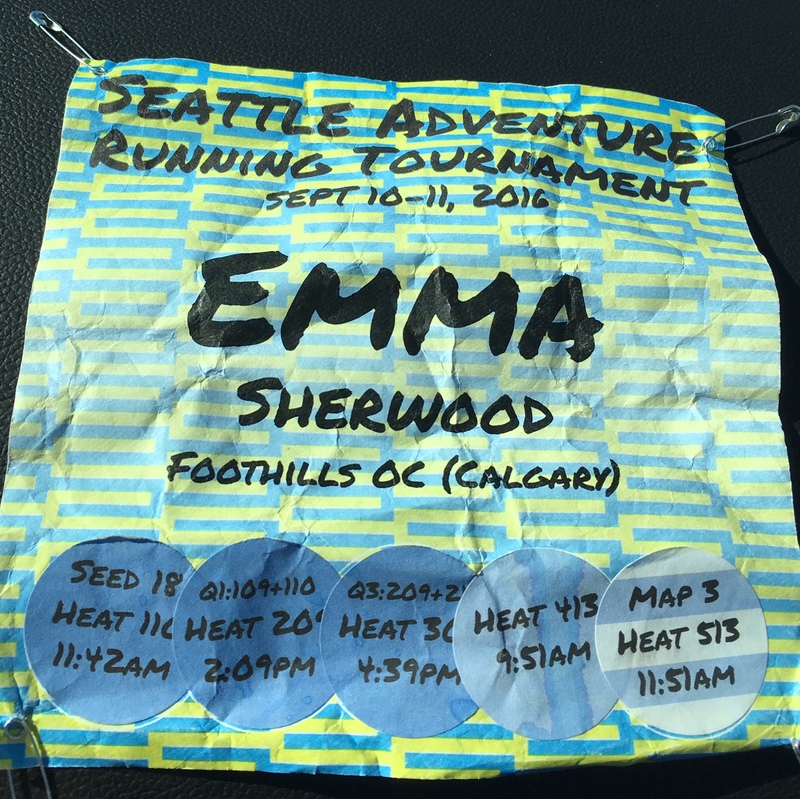 This weekend we attended the Seattle Adventure Running Tournament (SART) in, you guessed it, Seattle! This race series is unique as it is a bracketed tournament in which throughout six different races on five maps, participants move up or down in brackets (and thus possible final results). 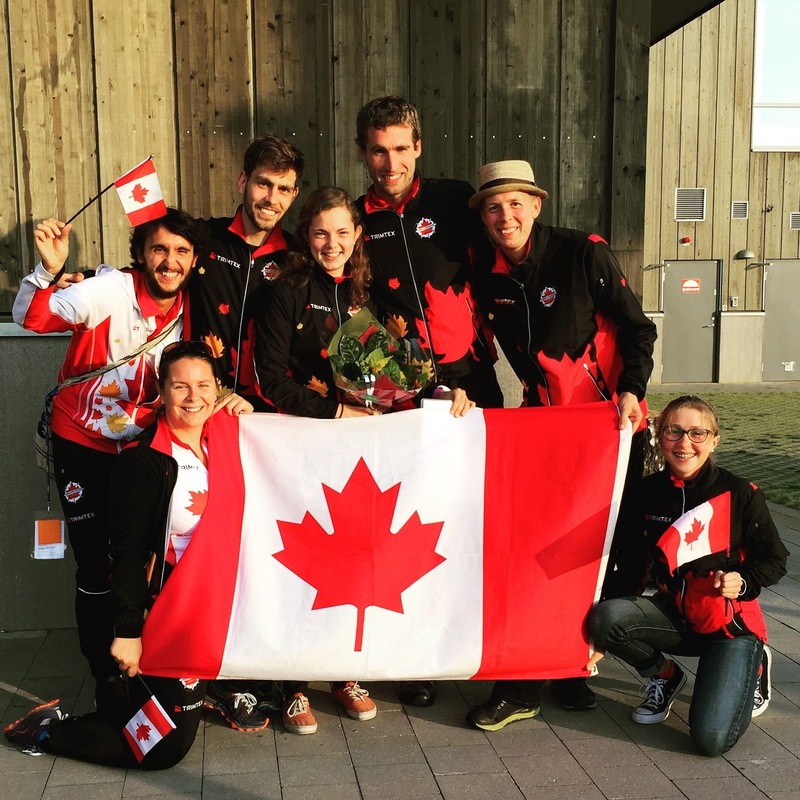 Each heat this weekend was composed of five athletes who would race together in a mass start. Each heat also had a partner heat who were competing for the top five spots after every race. This year, the first person in each heat automatically advanced to the next bracket along with the three fastest times out of both heats. Ultimately you needed to be in the top half of both heats to advance! This resulted in the 77 people getting split up into top half and bottom half after the first race, then groups of 20, 10, and then battles pursued for positions within a heat of 5 for the final race. Here is a link to the very interesting pdf of the final bracket. The weekend began with a time trial at Gas Works park. This was a very short race but in interesting terrain! Overhead pipes and large industrial machinery composed a technical section of the map. The time trial was used to seed people into heats for the first race. Seeding was done in a way to spread the field and ensure the fastest people would meet only in the semi-final and final. However, all races were competitive and things heated up quickly within the brackets! The first mass start race was at Woodland park, a longer course through open forest, fields, and sporting areas. This race secured both of us (Emma and Nicole) positions in the top half of the field. After an eventful morning and a short lunch break post-race, we headed out to Carkeek park - the location of the second mass start race. This race was a big contrast to the previous two as it was a forested, hilly course involving mainly trail running! With limited route choice, physical fitness was key to success. There was more head to head competition in this race as brackets brought people of similar abilities together. At this point the beautiful, sunny (and warm!) weather combined with physical fatigue posed a challenge, but we still had to carry on to the final race of the day on the small but very technical Seattle Pacific University map. This race proved extremely tricky with lots of traps, climb to consider with route choice, and out of bounds areas. There was separation at this point between runners and those who were navigationally competent. Two copies of the map were needed for clarity in the small but technical area. A lot of discussion occurred over ideal route choices; for example, what would you do from 17 to 18? Here is a link to the pdf of the SPU map, so you can look at the other route choices and traps. Control descriptions were a necessity, notably on the first control. At the end of a tiring day we were able to share dinner with athletes from four nations! This included a large Canadian contingent and was a great time for all! The next day, getting out of bed was a challenge as everyone's body's were just a little sore... nonetheless, because us orienteerers are crazy, we headed out to the fifth race at the picturesque University of Washington campus. Day 2 had limited movement within brackets as we were fighting for placement within a group of 10. However, at this point speeds were more or less matched within heats it was very competitive! The campus is quite large with buildings at interesting angles, green space, a fountain with its own geotag on snapchat (!) and the opportunity for lots of route choice. The course was quite fun with a mixture of short technical sections and long route choice legs in between. There were some challenging sections with lots of staircases, walls and even a bridge that played into decisions. Most people at this point were feeling physically drained but had to pull it together for the final race determining positions within your heat of 5. We only had a short break of about an hour in between races to prepare for the looped final race. It was still a mass start for the final race; however, it had three different loops and arrangements meaning that you were running alone! This required a different mentality than the rest of the weekend as you no longer knew where your competition was at each point in the race. This was a good test of navigational ability, physical perseverance, mental toughness, and being able to push your speed while alone and exhausted. It was exciting to watch everyone come in as the fastest heats started last. There were many Canadian HPP members in the top heats, including both Adam and Graeme in the hunt for the win. They finished with a very impressive 3rd and 4th, respectively. With lots of good competition all around, we (Emma and Nicole) came in 3rd and 5th female, or 18th and 23rd overall. We learned the importance of being well rested physically before races in order to do the best possible, and that navigational ability cannot always make up the difference of speedy running. 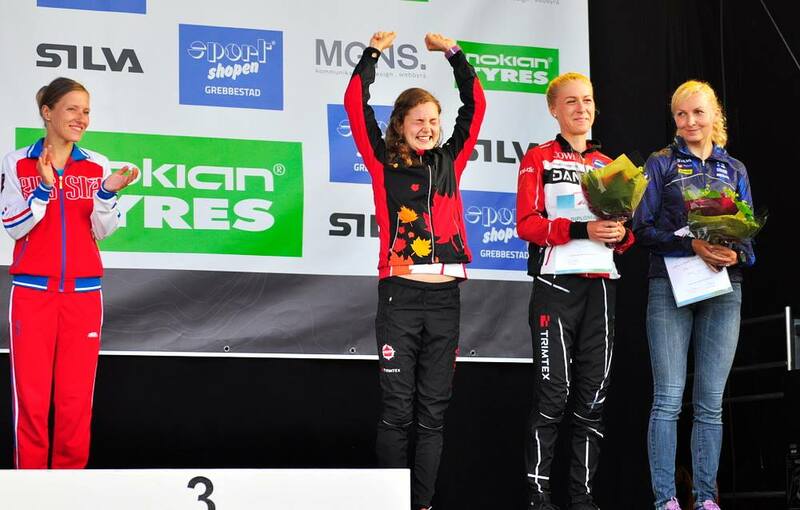 All in all it was a really fun and challenging weekend with great races and weather. We couldn't ask for anything more! Thank you so much to the organizer, Patrick Nuss, and all the volunteers. Looking forward to next year!